FOLKLOR collection. I might not even be breathing as the beauty of the surrounding landscape absorbs me. Dewdrops, the rose hips are just ripe. My Planet. “Hanuš carries us far from the noisy crowd into complete silence, into the heart. He brings us into poppy fields, into the woods, with the smell of pine needles in the air. 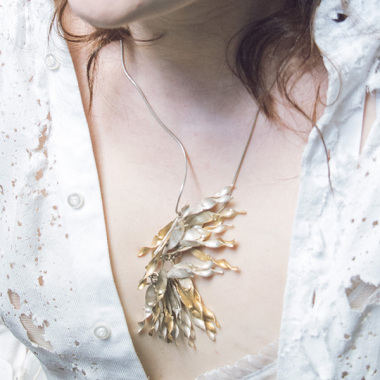 In his hands nature comes to life.” I present a new collection inspired by the work of Dušan Jurkovič and style based on folk art. 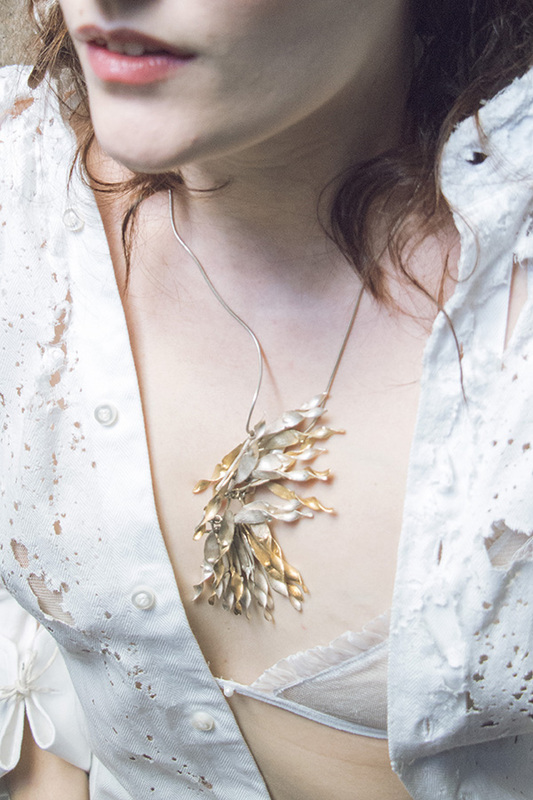 It is a collection with the elements of poppies, acorns grooved annularly from wood, accompanied by silver. 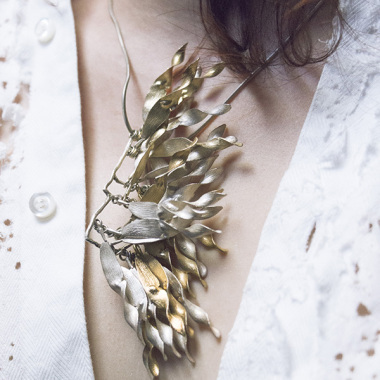 Hanus Lamr Jewelry is simply nature. Rosehips, sweet peas, stag beetles.. 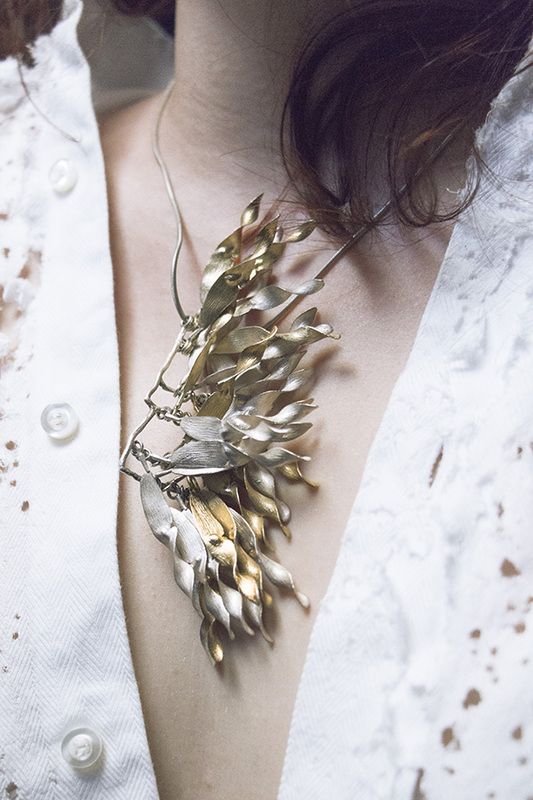 Fragile but perfectly wearable jewelry comes to life from a combination of natural motifs and clean modern shapes. When combined with the human body they come to life. In 2011 he was approached by the Ministry of Foreign Affairs to create a special brooch for Madeleine Albright. Hanuš Lamr has been nominated twice for the Czech Grand Design award.